If you are looking for a beautiful POOL home on a CORNER LOT then this home is for you! This home offers an OPEN SPACED floor plan with 4 bedroom,3 baths, GREAT ROOM, and with BONUS ROOM/GAME ROOM on the second floor. The upgrades include a gourmet 13; kitchen with 42′ cabinetry with tile back splash, Granite counters, & a LARGE center Island with sink and breakfast bar. Elegant engineered wood flooring throughout all the rooms and second floor. LARGE SPACIOUS MASTER SUITE with dual sinks, garden tub and walk-in glass enclosed shower and an EXPANSIVE walk-in closet. The other two bedrooms share a full bathroom on the first floor. UPGRADED Iron banister at staircase leading to the bonus room on the second floor. Game room its a perfect area for entertaining with a wet bar and a full bathroom. You will enjoy the relaxing CUSTOM DESIGNED heated pool and spa surrounded by brick paver’s around pool and Lanai. 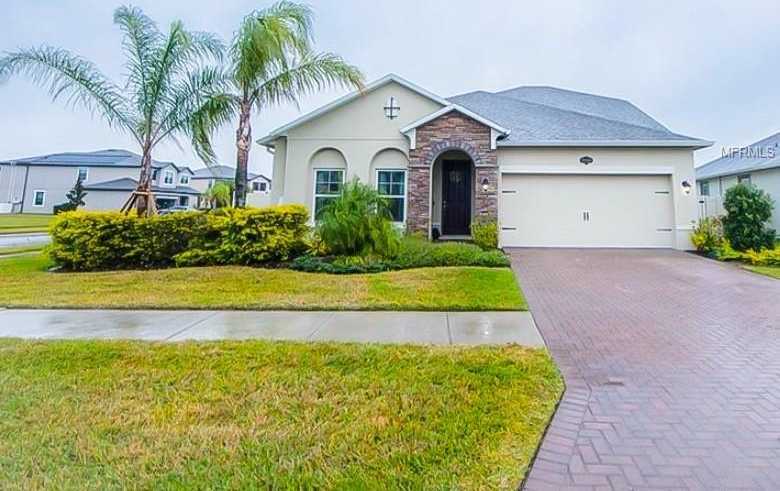 Enjoying your quite spacious backyard.Community amenities included resort style pool,clubhouse, basketball and tennis court, Dog Parks, Playground & More!Come see this beautiful home in a great quite neighborhood and see Florida’s natures at its best. Why wait to build and take the time to see this home before its gone! Please, send me more information on this property: MLS# T3154707 – $394,999 – 19556 Long Lake Ranch Blvd, Lutz, FL 33558. I would like to schedule a showing appointment for this property: MLS# T3154707 – $394,999 – 19556 Long Lake Ranch Blvd, Lutz, FL 33558.